Rory Trahair at Edmiston & Company tells me that the 37m motor yacht Willpower II was delivered by Heesen at the end of May and is now on her way to the South of France where she's a central agency for sale by Nathan Farrelly. Willpower II is an all-aluminium superyacht built to ABS class and MCA compliant, accommodating up to 12 guests in five cabins. Twin 3646hp MTU engines give her a maximum speed of 31 knots and a range of 2,000 nautical miles at 12 knots. 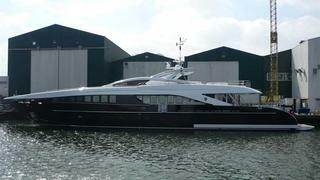 Asking €14.5 million Willpower II is, says Rory, €2 million less and two years before the next available Heesen 3700.